Malaysia is the third largest manufacturer and market for motor vehicles, excluding motorcycles, in the ASEAN region, behind Thailand and Indonesia. The motor vehicle industry, including motorcycles, is dominated by passenger vehicles, which represented 48.9% and 50.9% of the total production and sales, respectively, in 2017. Two national brands, Perodua and Proton, are the key players in the passenger vehicle segment. They are highly orientated towards the domestic market. There is also a fair contribution of six Japanese companies which manufacture passenger and commercial vehicles within the country. Malaysia has lower levels of international competitiveness compared to Thailand, which has consolidated its positions as the regional export hub in ASEAN. The Malaysian automotive industry needs to increase its focus on foreign markets to reduce its dependence on the domestic demand. 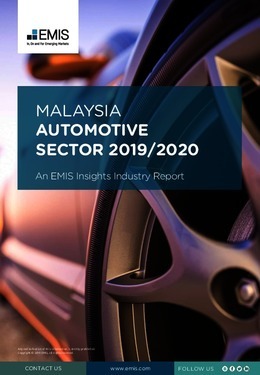 This report provides a complete and detailed analysis of the automotive sector for Malaysia. EMIS Insights presents in-depth business intelligence in a standard format across countries and regions, providing a balanced mix between analysis and data.